Applications of thin-walled parts are substantially affected by residual stress generated during the cutting process. However, in multi-process milling, the redistribution mechanisms of residual stress after roughing, semi-finishing, finishing, and heat treatment are highly complex and remain underexplored. As a result, the control of deformation of multi-process thin-walled parts remains challenging. 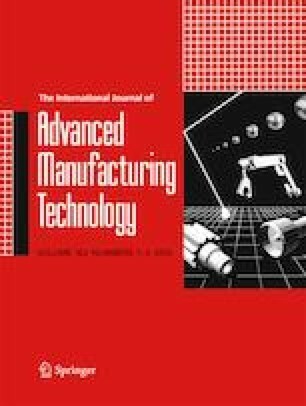 In this study, to reduce the influence of residual stress on the deformation of complex thin-walled parts, simulation models of the machining process and heat treatment are carried out based on multi-process analysis. By comparing different process parameters, the redistribution mechanism of residual stress during multi-process milling is analyzed. The findings reveal that with a stress-relief treatment between every process, especially before finishing machining, compressive stress on the surface of thin-walled parts is greatly reduced; residual stress on the sub-surface enters a stable state quickly; and the internal metal structure and structural performance are more reliable. Experiments are conducted to verify these results by comparing residual stress. Stress-relief treatment after every cutting process is ultimately recommended for controlling residual stress and deformation of thin-walled parts in multi-process machining. This study was financially supported by the Shanghai Sailing Program (no. 18YF1418400).